LONDON, ENG. 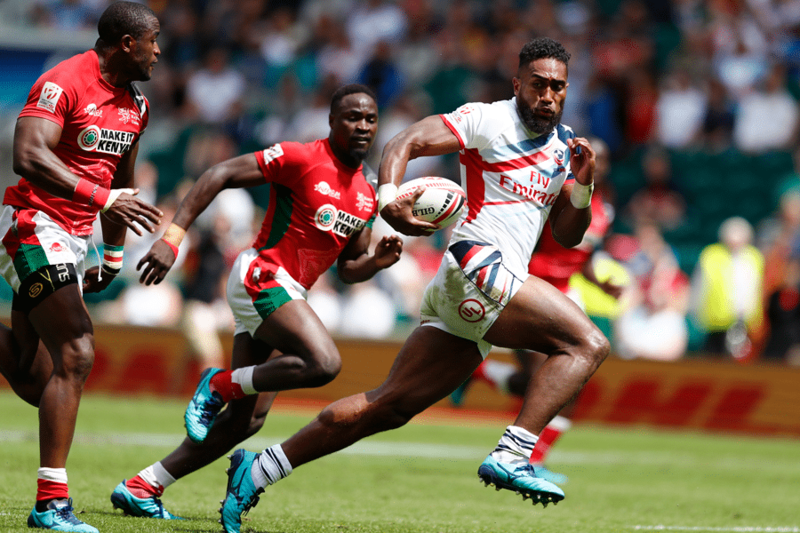 - Following their final match of pool play against France at the 2018 London Sevens tournament, Head Coach Mike Friday announced that Matai Leuta suffered an ankle injury and will miss the remainder of the tournament. Leuta, who owns 40 points on the season in his 46 individual match appearances, will be replaced by Faitala Talapusi. A newcomer on the scene, Talapusi made his international debut at the 2018 Singapore Sevens tournament and hunts for his first official try on the Sevens Series scene. After finishing first in Pool C, the Men's Eagles Sevens suffered a 12-22 loss to Ireland in the Cup Quarterfinals. The squad will face Canada in the Fifth Place Semifinal with 13 points still up for grabs in the tournament. The match kicks off at 9:04 AM ET, LIVE on ESPN+.